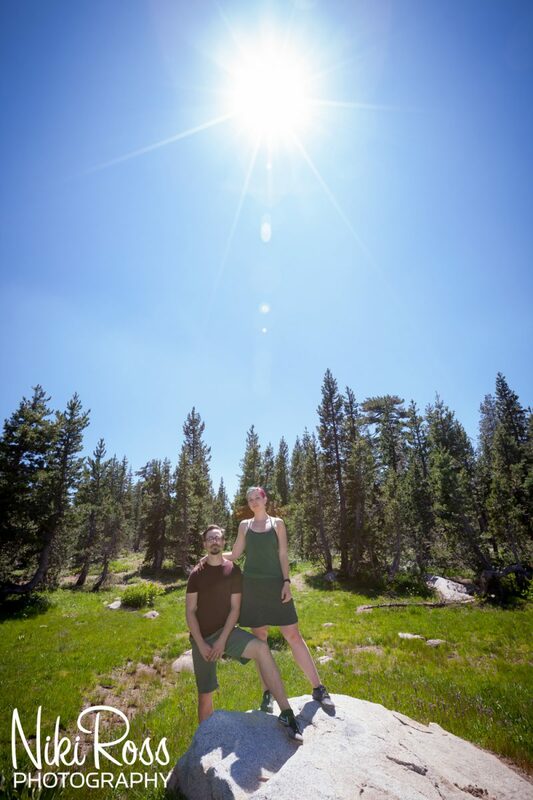 When it comes to getting great backdrops and exploring new photo shoot locations, I am always up for any ideas my clients have. 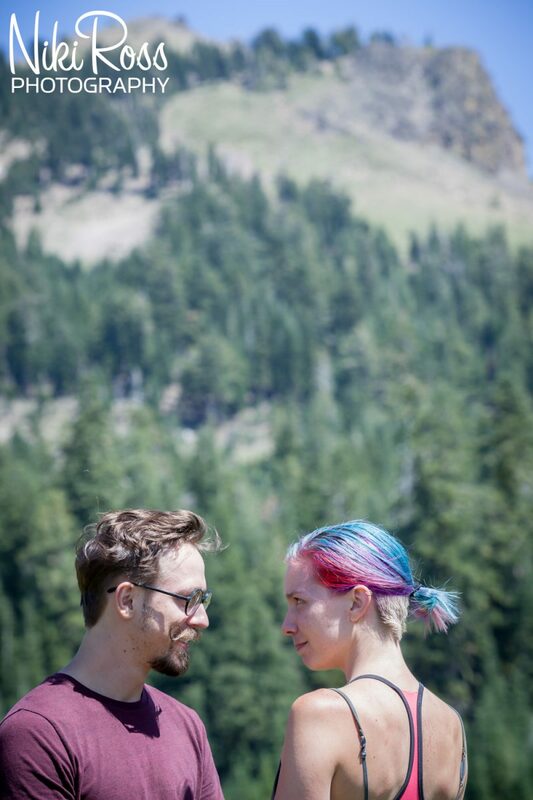 When Emerald & Douglas suggested that we do a hike, I was all for it. 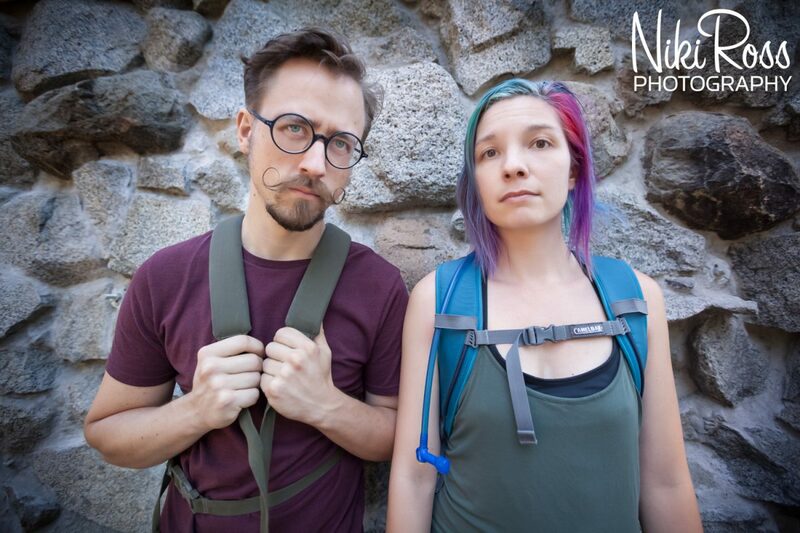 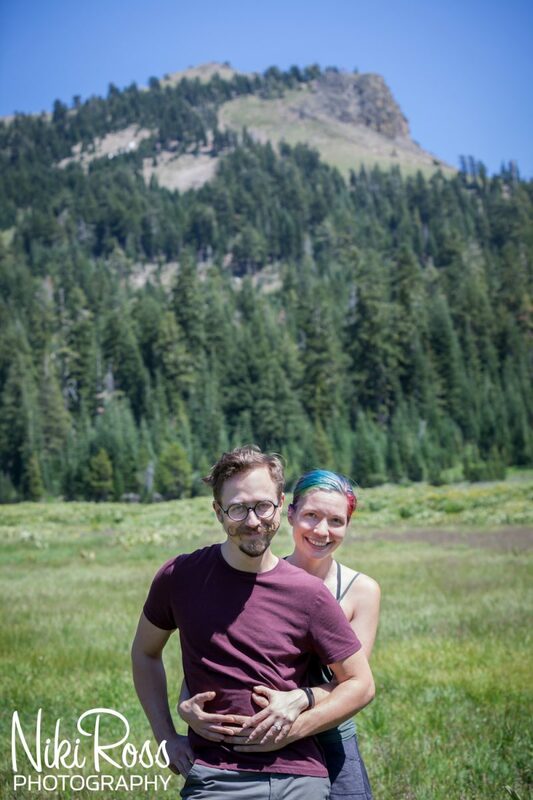 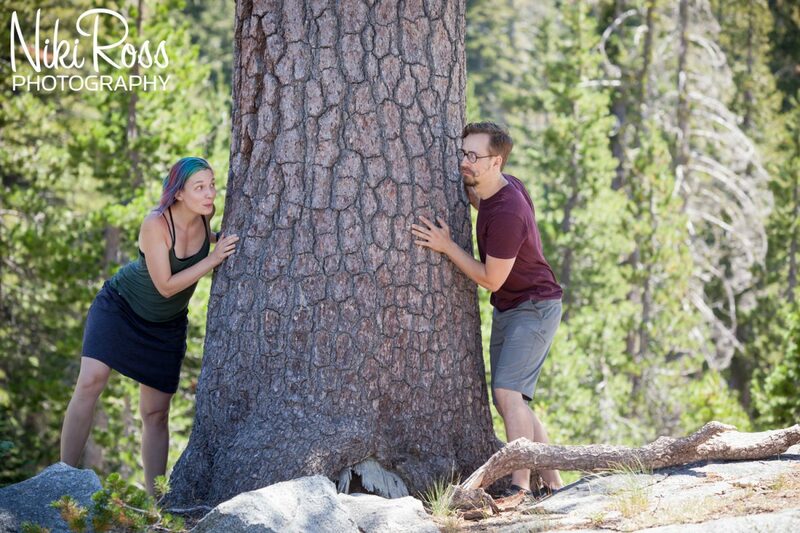 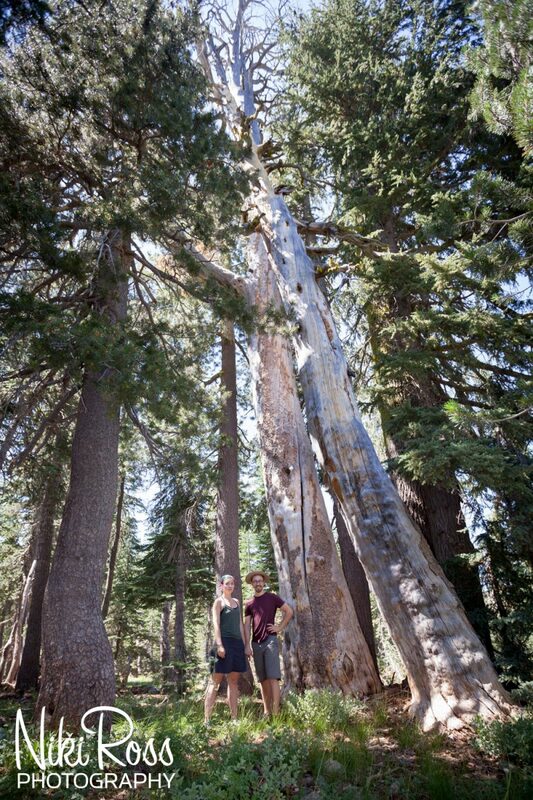 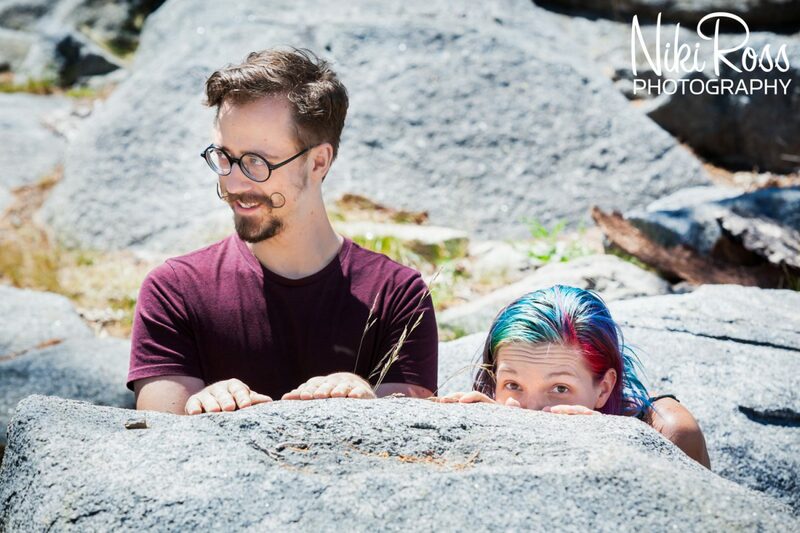 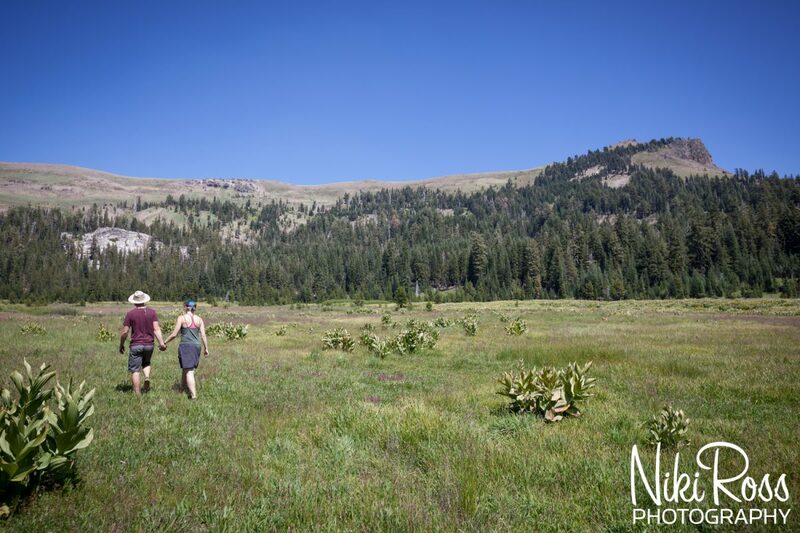 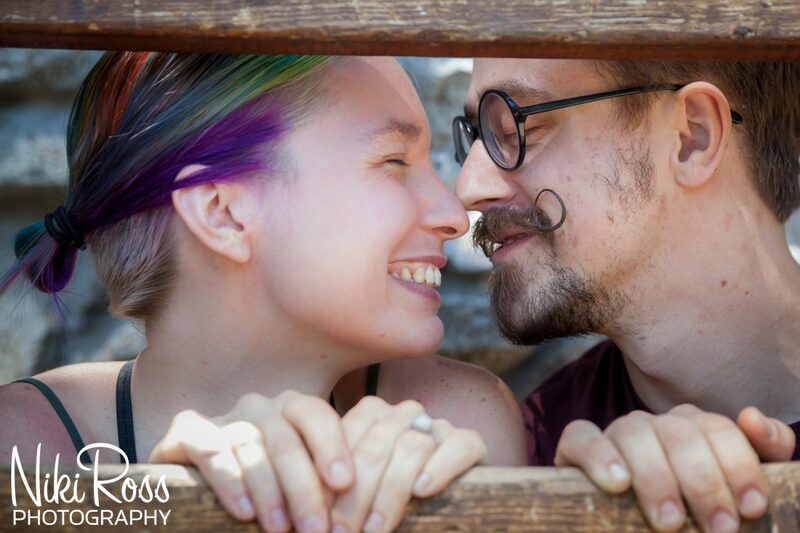 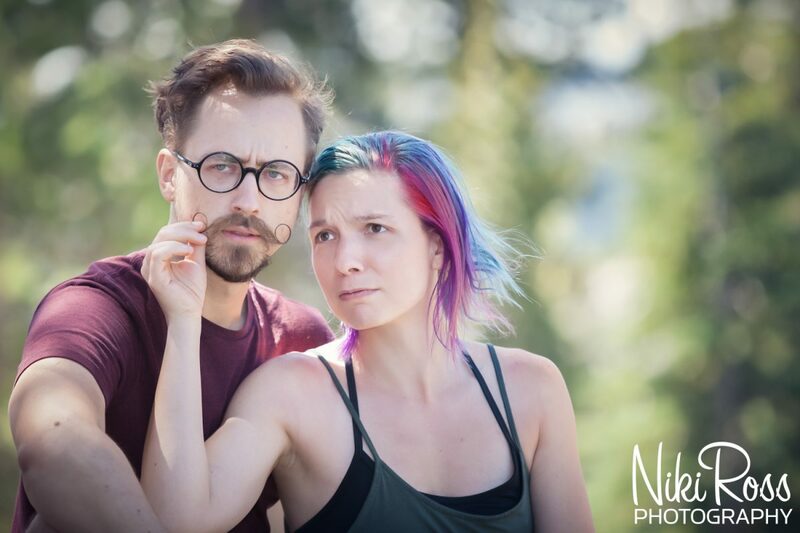 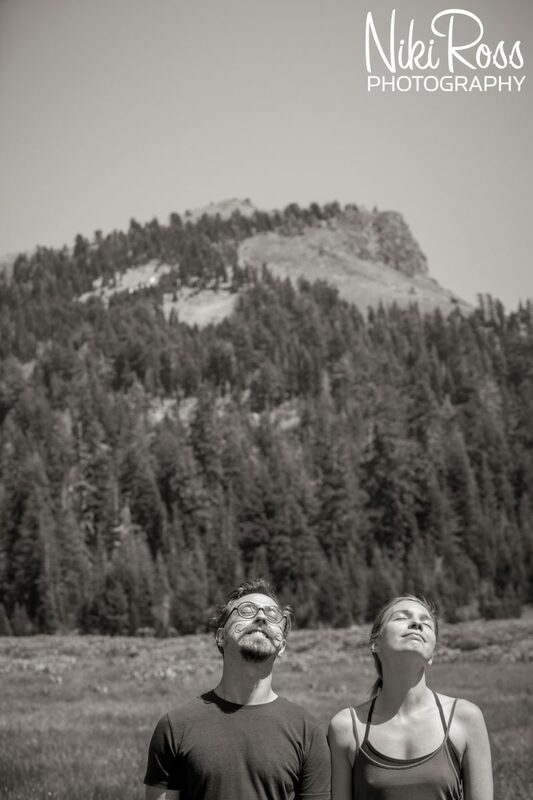 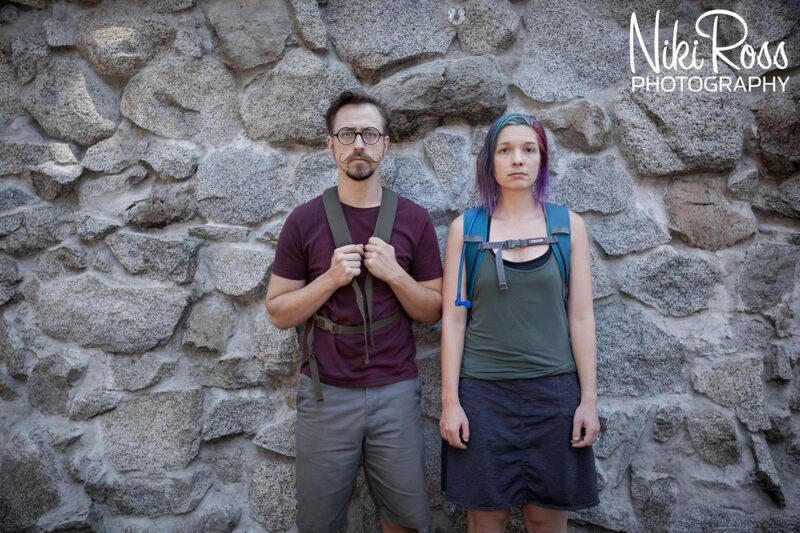 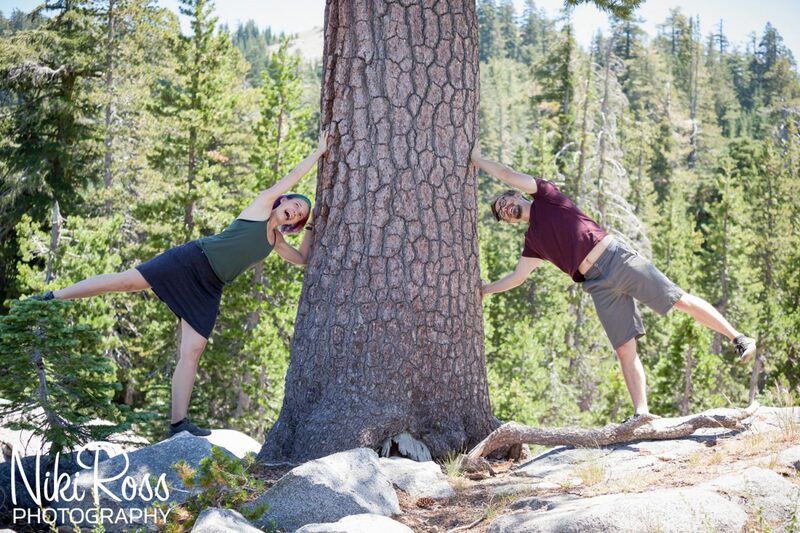 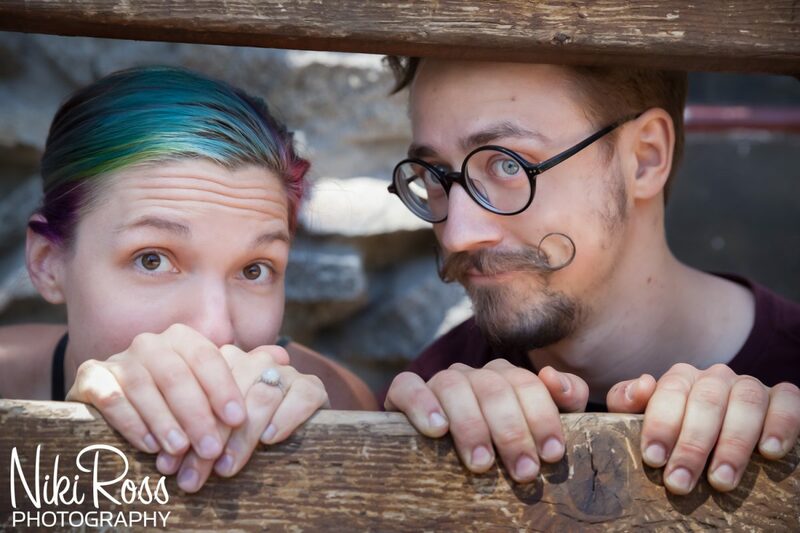 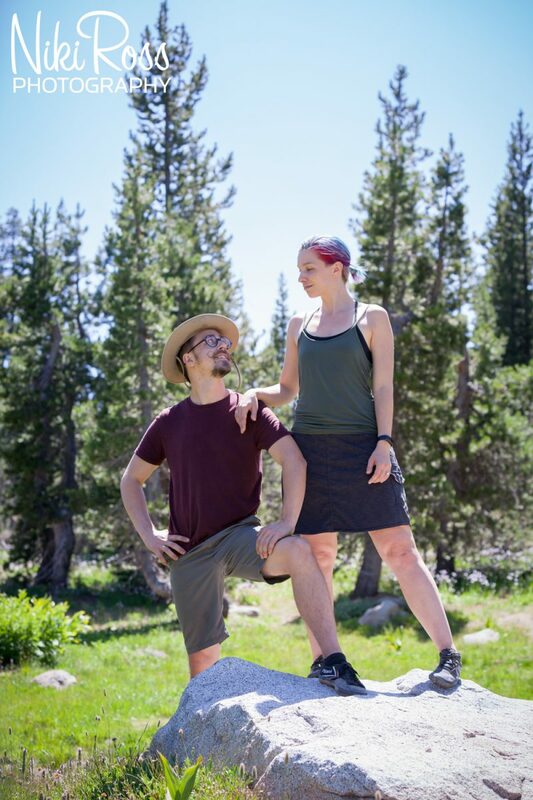 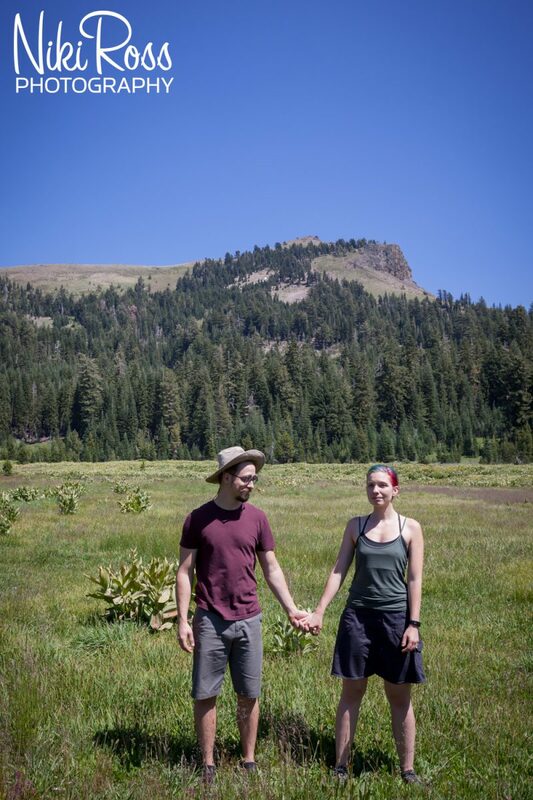 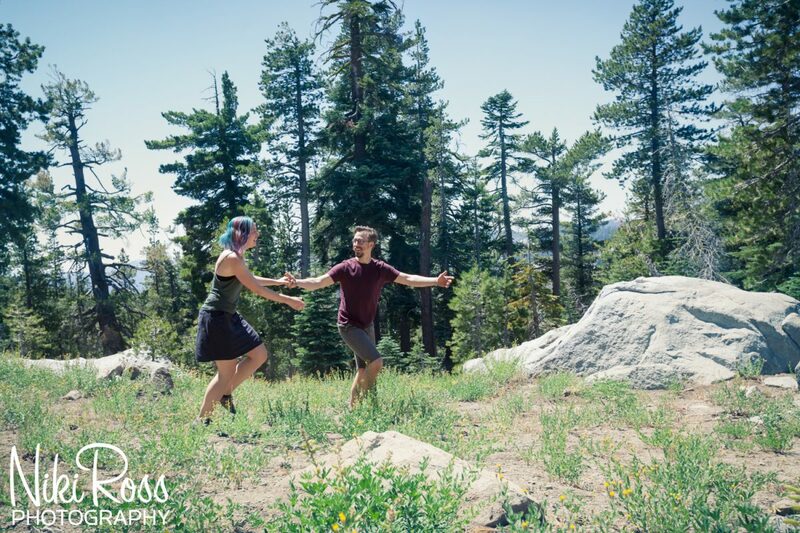 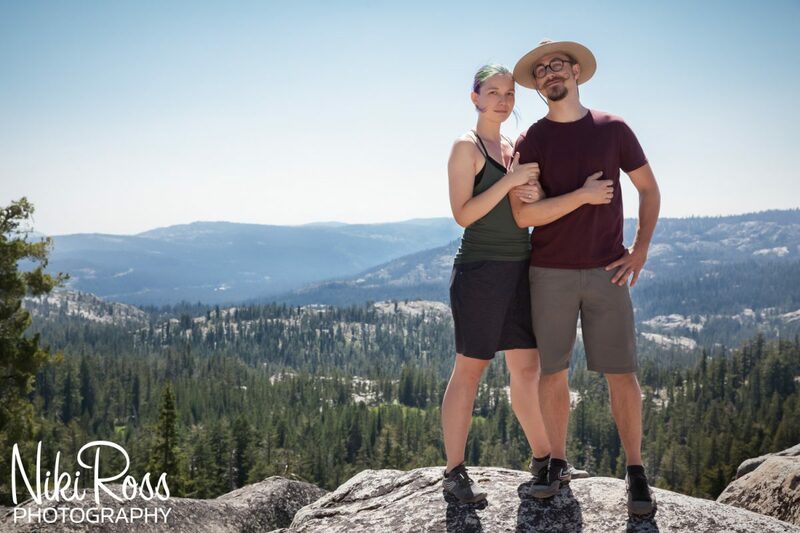 For Emerald & Douglas’s hiking engagement session we hiked to the Peter Grubb Hut on the Pacific Crest Trail. 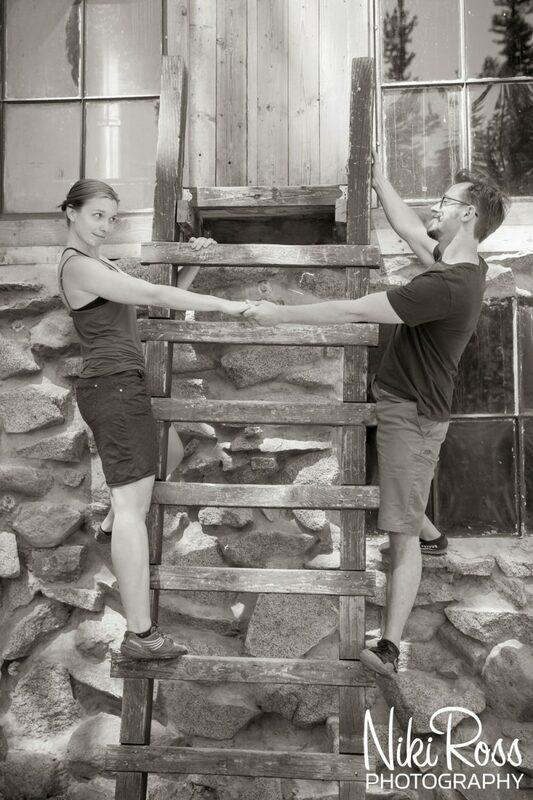 Each of us took turns carrying the camera equipment and once we reached the hut we were ready to start photographing. 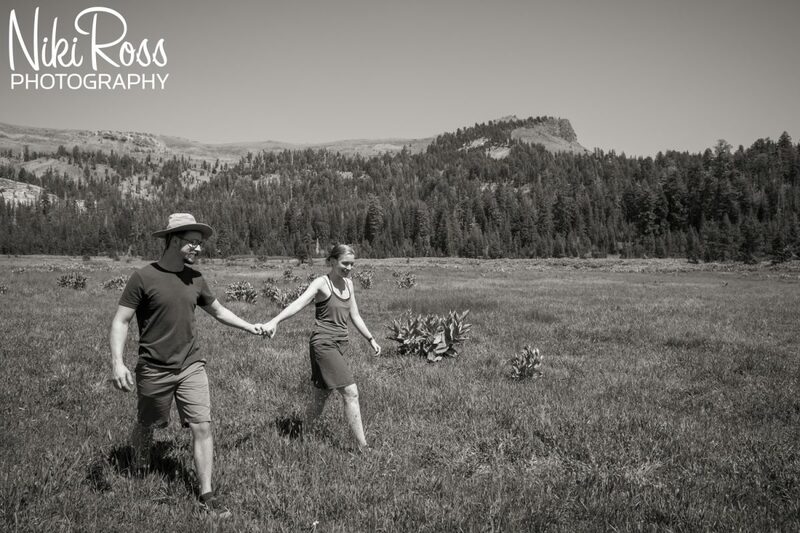 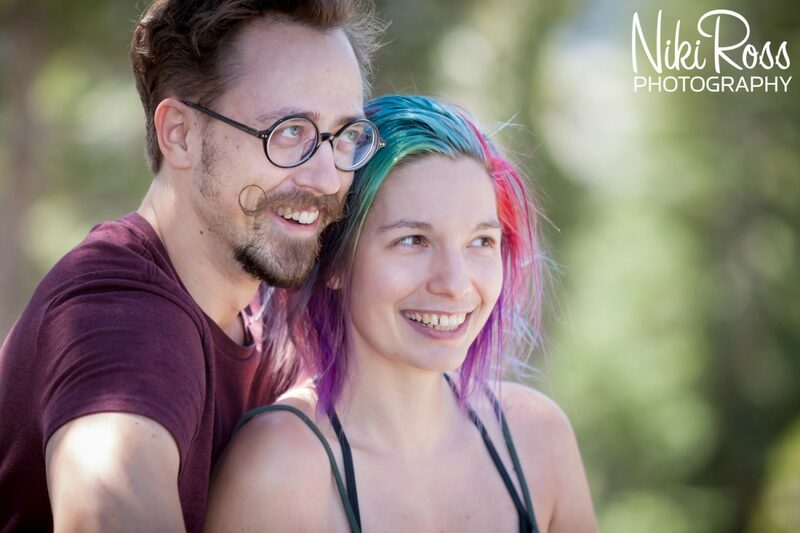 With views of Castle Peak and Round Valley we had plenty of backdrops to pick from and the personalities of these two kept us laughing throughout their engagement session. 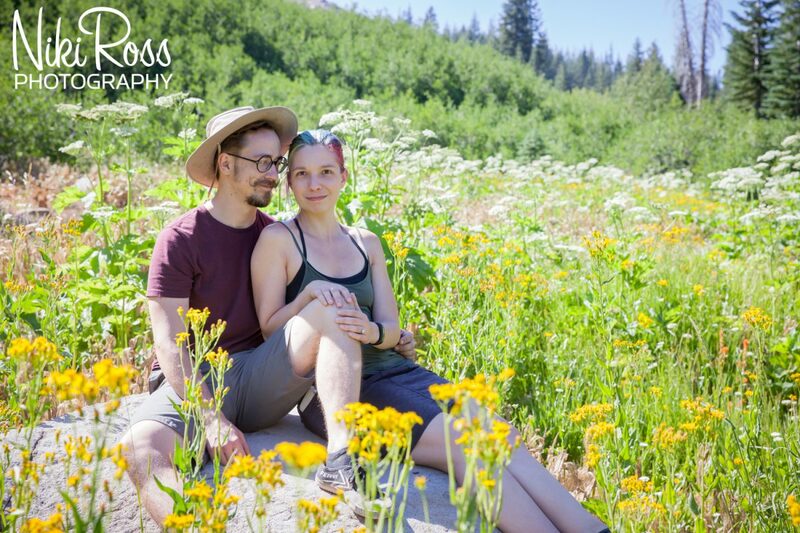 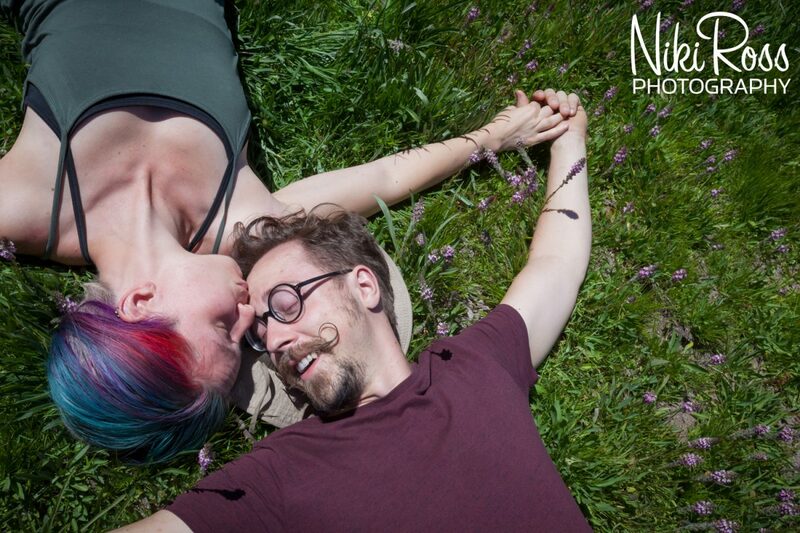 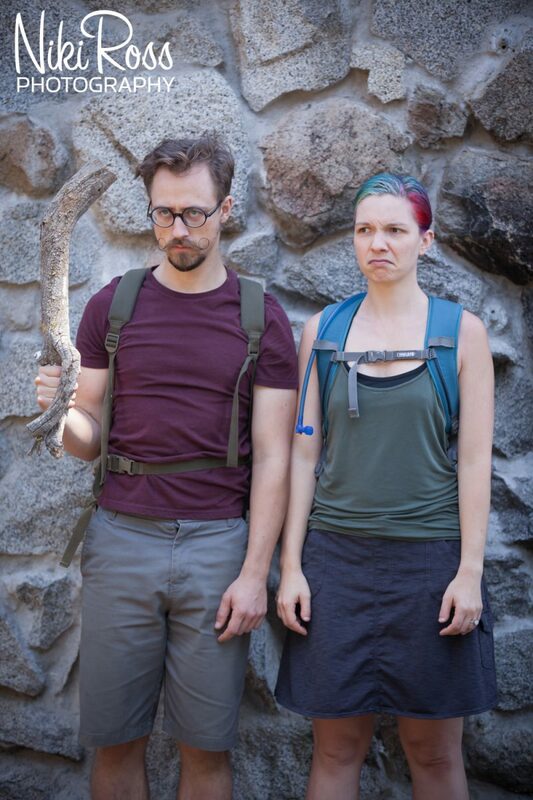 Emerald and Douglas are both very artistic and creative people who love the outdoors. 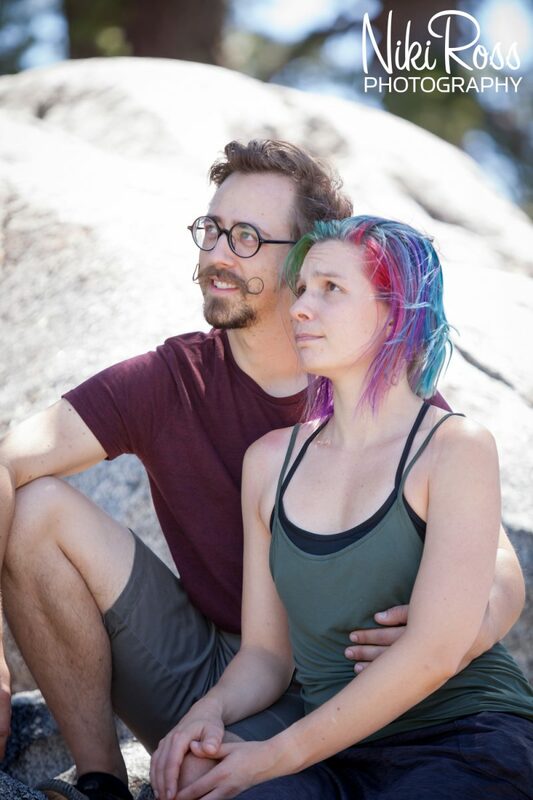 I have been friends with Emerald since high school, but have not seen her since, but I have many memories of how much fun she can be. 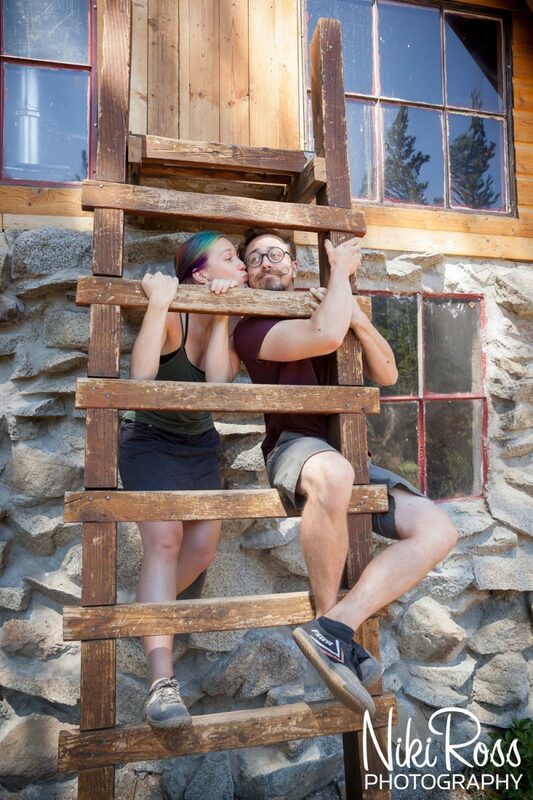 This had me predicting Douglas would be just as fun. 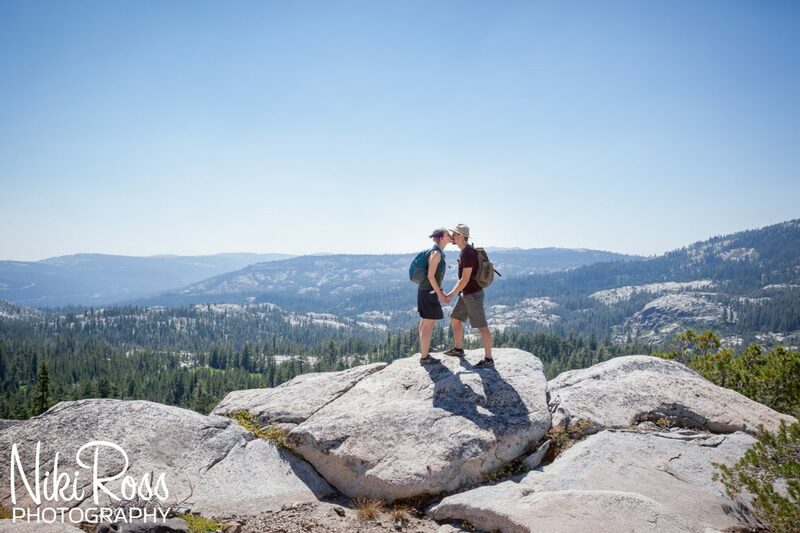 They chose this hike because they have spent many adventures hiking along this part of the Pacific Crest Trail. 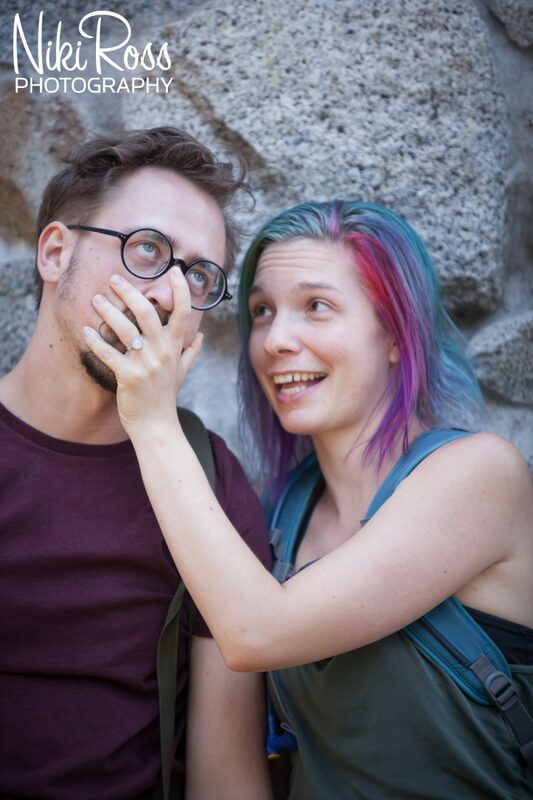 This was also the closest they could get to the location where Douglas proposed to Emerald. 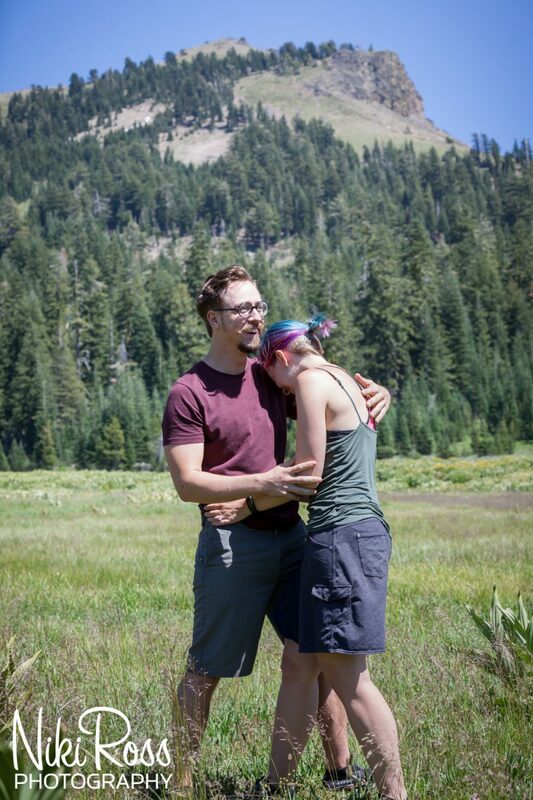 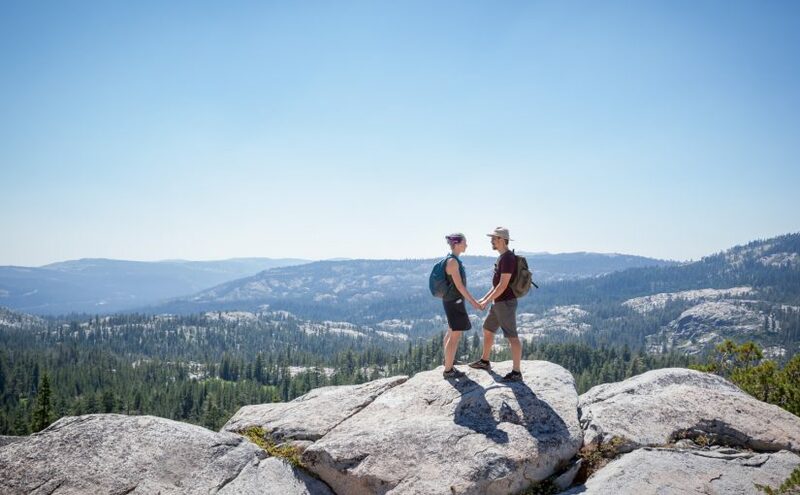 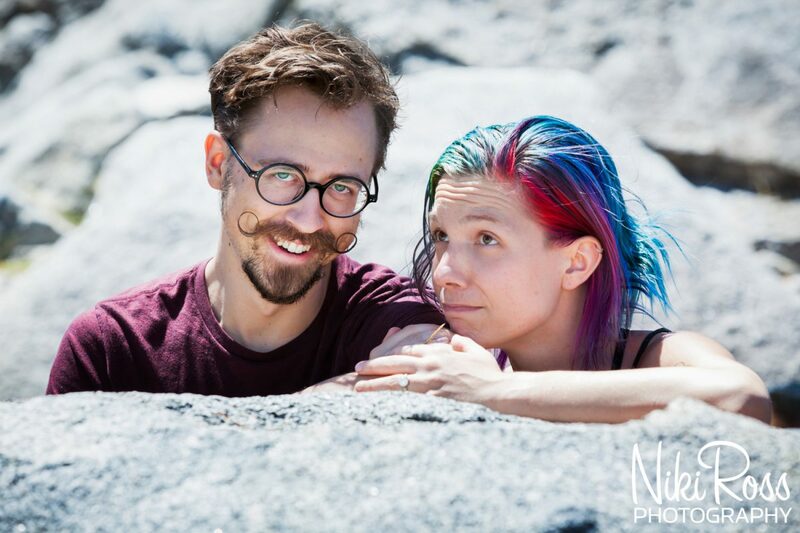 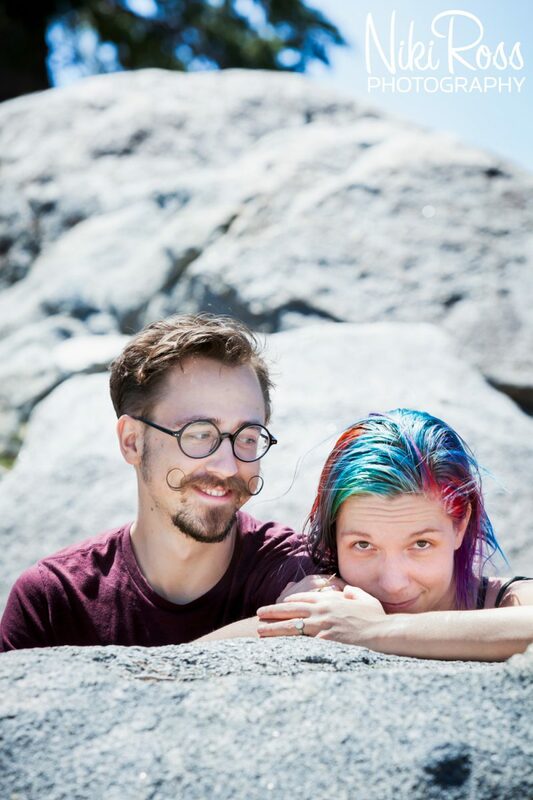 While hiking on the John Muir Trail right underneath Pinchot Pass and after 220 miles, he surprised Emerald by popping the question. 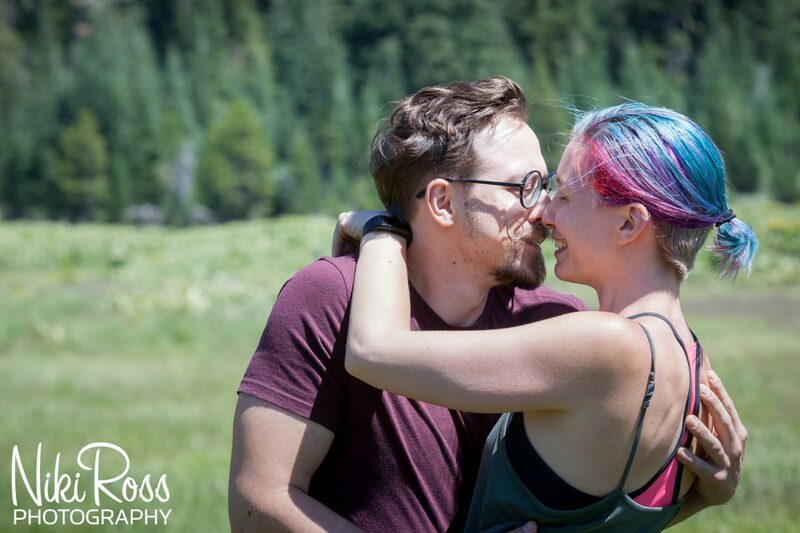 She was so surprised and of course said “Yes!”. 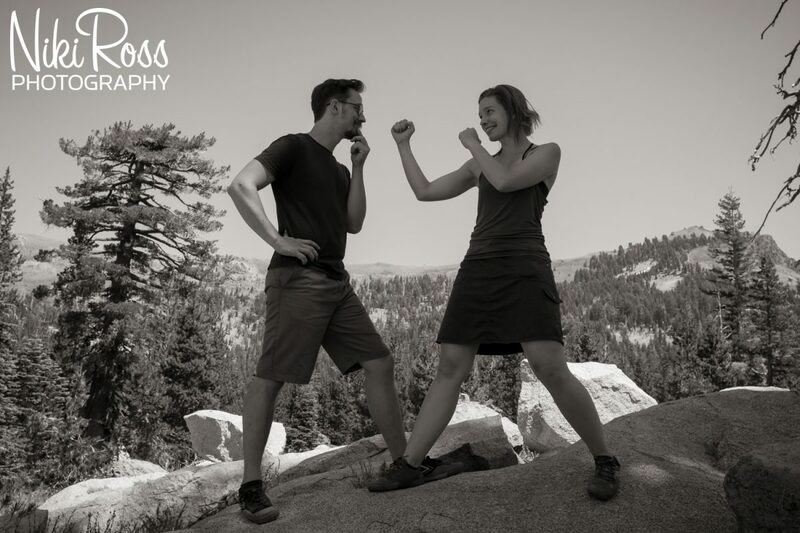 Next Next post: Scott & Alicia’s Wedding in Redwood City, CA.